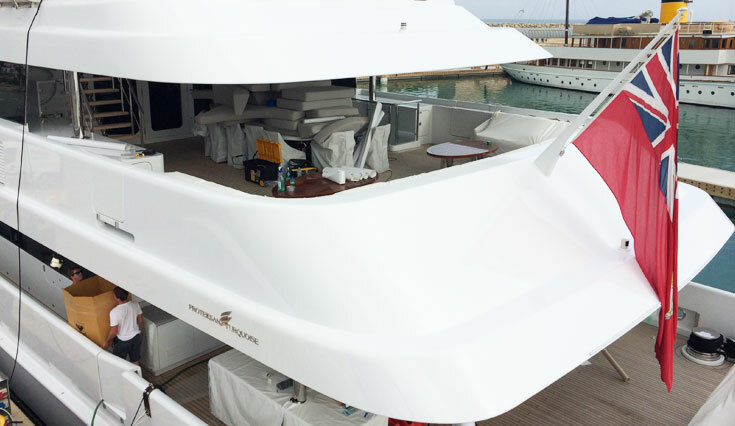 MY Turquoise 56m receives a superstructure colour match transformation in Matterhorn white. The problem the boat had was staining on the overhangs, showing as streaks that couldn’t be cleaned or buffed off. The overhang is a high visibility area and one of the first things the owner and charter guests see when boarding her. The traditional approach of spray would have been very time consuming, and logistically challenging, requiring tenting. 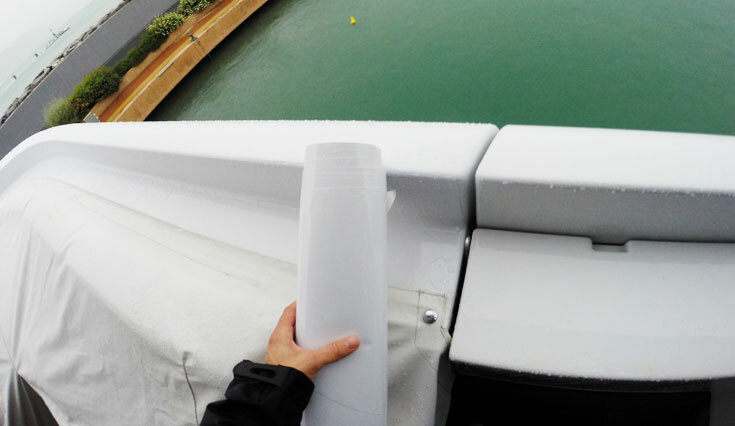 Although skeptical at first, the yacht chose to go the vinyl film route on these areas, using a film colour matched to the existing matterhorn white paint. The fitting process took 5 days and required no tenting. The end result is a new fresh coat on the overhangs, which we would expect to last 5 years. ‘Although I was sceptical at first, the result really is fantastic…. 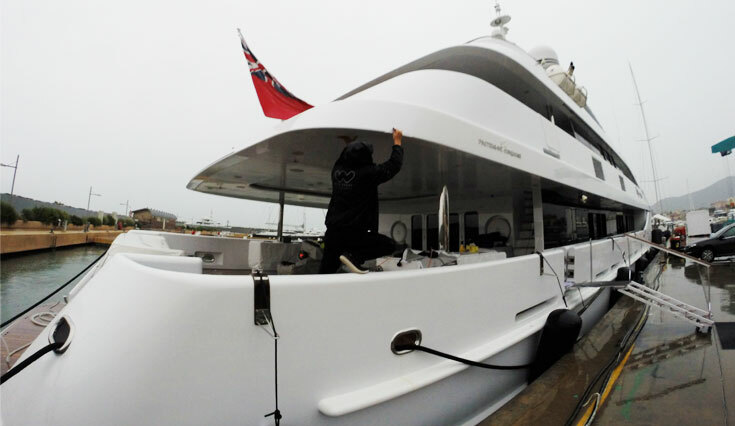 compared to paint the process is totally hassle free, the colour match is spot on… I would definitely recommend using films and Wild Group to anyone needing to refresh their Yacht. ” Says Captain Turquoise, 56m. CLICK HERE 2015 MY Turquoise has a full hull match colour change.